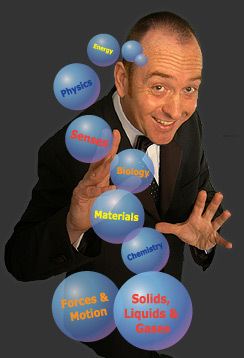 The magical science shows are packed full of fun exciting experiments. These appear magical until we discover the science behind them. Also included are tricks where science is relied upon to make the illusion. First Tony presents the experiments in a magical and showy way, and then with help from members of the audience these are repeated whilst unlocking the secrets and exploring the science. Many of the experiments require common everyday items and so the children, with adult supervision, will be able to repeat many of these experiments in class or at home. Areas of science covered include senses, forces and materials amongst others. How the science is applied to the real world of science and engineering is a major part of these presentations too. A day normally includes 45/60min shows for KS1, LKS2, UKS2 and a 30min show for EYFS. If time allows magical science workshops can be included where the children have great fun conducting some of these experiments in a class size environment. This format allows the children to experience the science and concentrate more deeply on specific areas. Where a day is booked with the show format as above, there is usually time to fit in a Super Scientist Workshop with a couple of children from each class at the end of the day. By reducing the number of shows to a KS1/EYFS show and a KS2 show leaves more time for class workshops. Alternatively if the school is not too large then each show can be part show and part workshop including the best of both options. As with the maths days, the science days can also include the option of a 45/60min twilight session for adults/pupils. The format includes a round robin set up in the hall of about a dozen experiments from the days shows. It starts with a 5 min explanation of the activities, including the usual safety and emergency exit reminder, then the families have fun with as many or as few activities as they wish whilst exploring the science. NEW FOR 2018/9. In addition the magical science days for EYFS, KS1 and KS2, Tony is delighted to launch further workshops for KS2. These were requested by previously visited school, and are now tried and tested and available to all. Light Workshops. A day of hands on class size workshops on the topic of light, including light sources, dispersion of light, making a spectroscope, fun with periscopes and how our eyes work. Electricity Workshops. A day of hands on class size workshops on the topic of electricity including electrical insulators and conductors, how a current flows, circuit symbols, circuit diagrams, making circuits in series, circuits in parallel and an electromagnet. 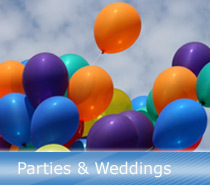 Details of prices, example timetables, previous customers and much more are available to view. 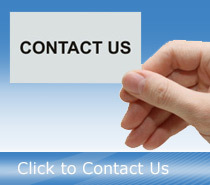 Please insert your username and password in member login area to access a wealth of further useful information. You will find login details on your most recent correspondence from It’s Magic Time. 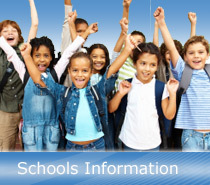 If you are a teacher and came across this site via another route, contact us to have member login details forwarded to you.